In some cases, I'd like to let a teammate watch an issue, and be informed of whatever is going on about that issue, even though the issue is not assigned to him/her. Is it possible to add a person to watch an exising issue, without assigning the task to him/her? Manage Watcher List — permits a user to view/edit the watcher list. 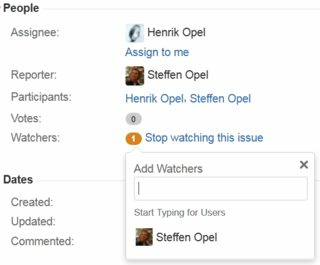 How to use Jira to indicate blockers in a Kanban system?